Deep inside our great land, beneath preserved, protected soil sits a majestic natural spring. Where pure, premium, American spring water rises naturally to the surface. We don’t mess with it, fuss over it, or add anything to it. We simply bottle it. As is, as we have for over 145 years. And officially label it, ‘natural,’ because that’s exactly what it is. IN PURSUIT OF LIFE, PURITY, AND CRISP CLEAN TASTE. 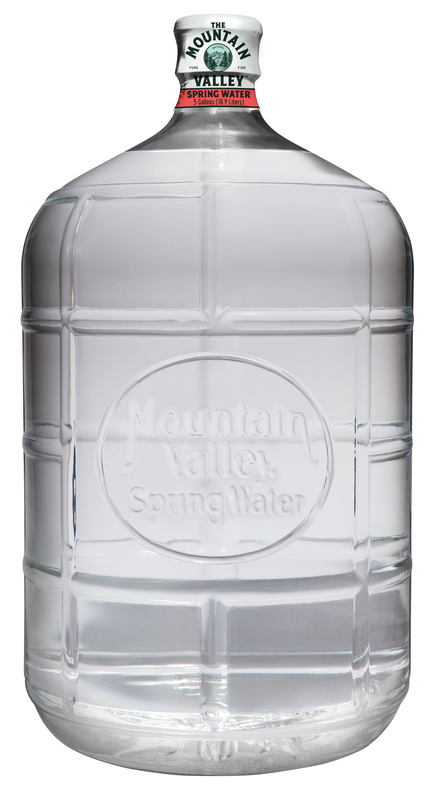 Foodies, chefs, and the health conscious love the naturally detoxifying high alkalinity, 7.8 pH, and unique blend of rich minerals of The Mountain Valley Spring Water. The fact that it’s naturally ionized, sodium-free, bottled in glass to maintain purity, and was named “Best-Tasting Water in the World” twice doesn’t hurt either. We pride ourselves on truth, integrity, and naturally, pure water. We never have nor ever will add sweeteners, preservatives, or colorants. Our sparkling water is pure water, plus bubbles, plus a hint of natural fruit. We vigorously test and analyze. We bottle in glass to preserve quality and taste. We proudly offer recyclable, BPA-free, green plastic bottles as a convenient, on-the-go alternative. And we deliver 2.5 and 5-gallon glass water cooler bottles to your doorstep with a smile. No secrets. No additives. No lies. Review our latest water analysis for more detail. Serving Southern Mississippi since 1987, Sparta is the oldest bottled water distibutor in the area. Sparta is also the only premium water distributor in South Central Mississippi and offers a selection of some of the finest water brands available on the planet. Featuring Diamond Spring Water, our own Sparta H2O Premium Artesian Water, and Mountain Valley Spring Water, the king of bottled waters. We only offer the best for our discriminating bottled water customers. We believe that you, your family, your employees, and your business clients deserve the best tasting and very purest of drinking waters available, so that is our specialty. Choosing quality water for your office shows your customers that you value them and that you care about their well being. Unlike processed tap water or well water, which is sometimes sold as bottled water, our waters come from the pristine aquifers deep in the earth, are all carefully inspected for purity, and are free of harmful chemicals, pollutants, and contaminates. They contain a healthy blend of natural trace minerals such as calcium, magnesium, and potassium; and they are naturally sodium free. If you would like to experience the taste of premium water that is naturally pure, please contact us to schedule water delivery to your home or office.